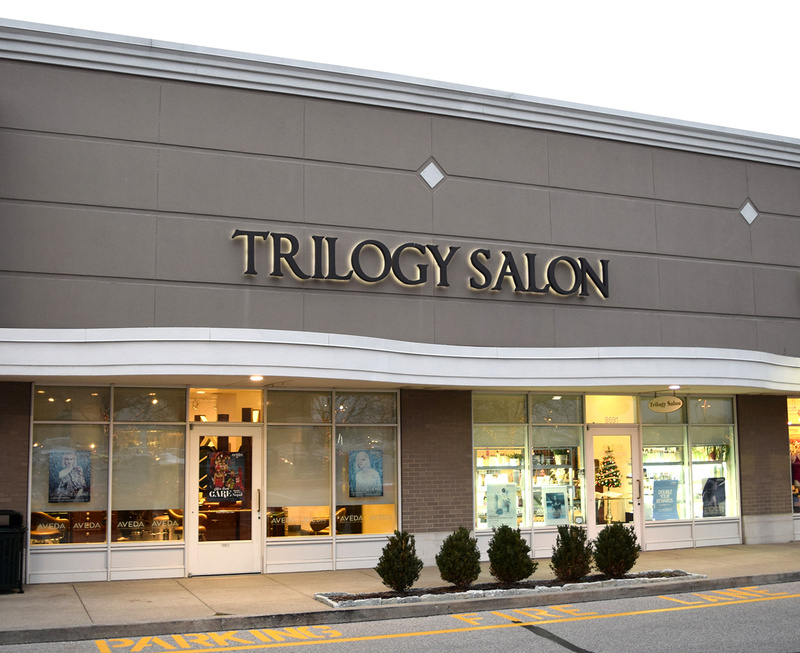 Trilogy Salon approached Jackson Sky in 2011 when they began renovating the space for their new salon at Keystone at the Crossing. They desired a brand that was sophisticated and versatile. The logo can be used in full as it is shown here but can still hold its own as simply a typeface (for elements like signage). The website is a custom-built WordPress theme. 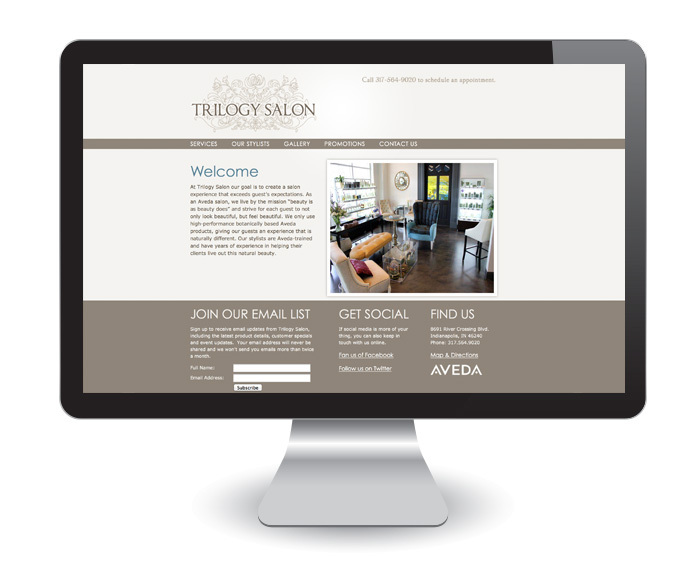 It not only provides the information customers need regarding services, but also has galleries to highlight the stylists and the atmosphere at the salon. The business cards for the stylists have “Trilogy Salon” embossed over top of the mark — giving them a luxurious and sophisticated feel.